78-261 Manukai St, Kailua-Kona, HI 96740 (MLS #617181) :: Aloha Kona Realty, Inc. 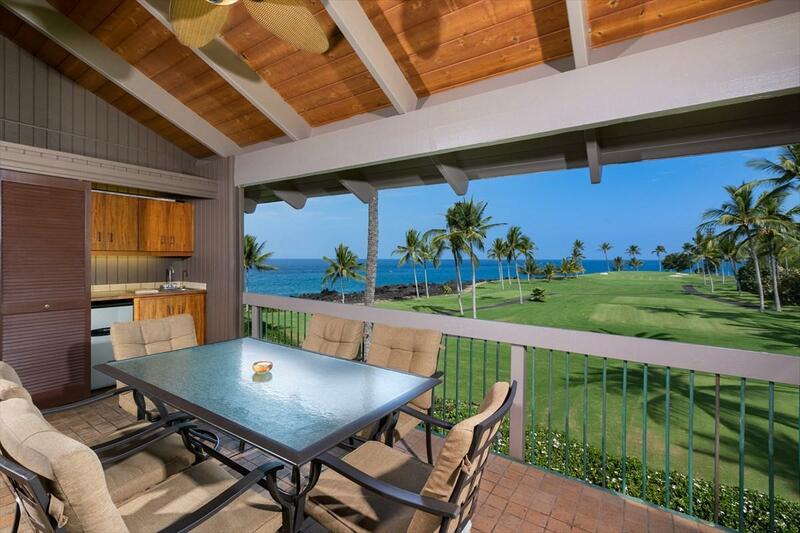 Remarks: Kanaloa at Kona is the premier Keauhou area traveler's resort condominium complex. With vintage styled Hawaiian Hales you can step into a feeling of old Hawaii that is elusive in the present day hussle. 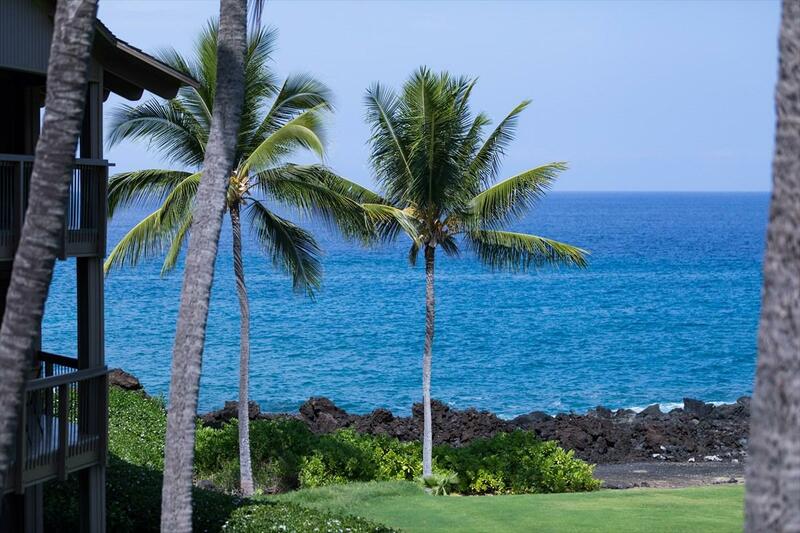 This turn-key two bedroom two bath condo with loft is located close to the ocean's shore with an unobstructed view of the shoreline. Hear the waves crash and watch the dolphins play! There are views into town as well as sunset and sunrise views. Buyer's can enjoy the newly remodeled kitchen with Granite Counter tops, KOA Wood cabinets, new dishwasher and new paint and carpet throughout. Other recent upgrades including newer central A/C, floor to ceiling travertine and glass block master shower and upstairs loft that can sleep up to 4 guests. 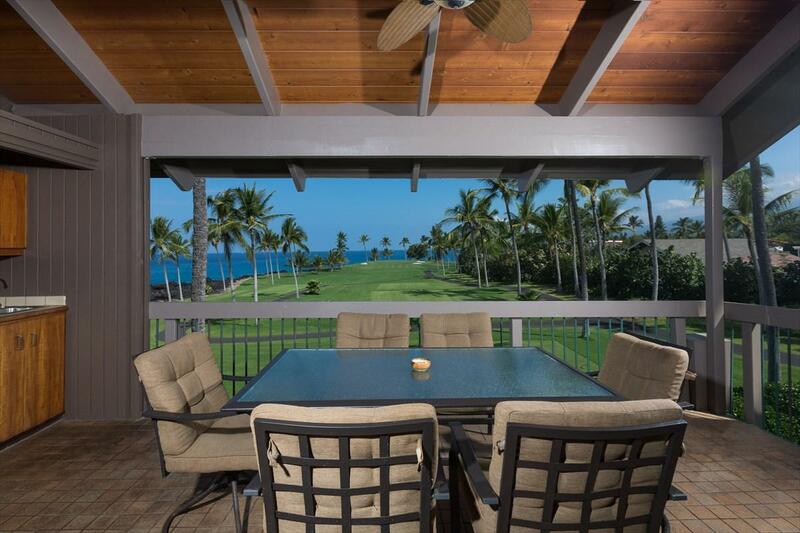 The large covered lanai has outdoor dining area, wet bar and simply amazing ocean views. The complex has three beautiful swimming pools; one located on the ocean, a second is an adult quiet pool and this area is perfect for reading a good book or enjoying a nap in the tropics. Third is a large family sized pool with a big shallow end, great to for the kids and parents alike.More ammenities include, lighted tennis courts, concierge, lounge/rec room with TV, on-site security with gated entry and guard, walking trails, beach/shoreline access, close proximity to Keauhou Bay and numerous water sports and activities.Kona Country Club is adjacent to the complex for avid golfers. A short walk will take you to Keauhou Shopping Center featuring groceries, restaurants, medical offices, shops, post office and entertainment via a multiplex theater.Kanaloa is a part of the Castle Resorts and Condominium family. You may choose to have them handle the unit for you, live here full time or rent it out yourself as you choose. 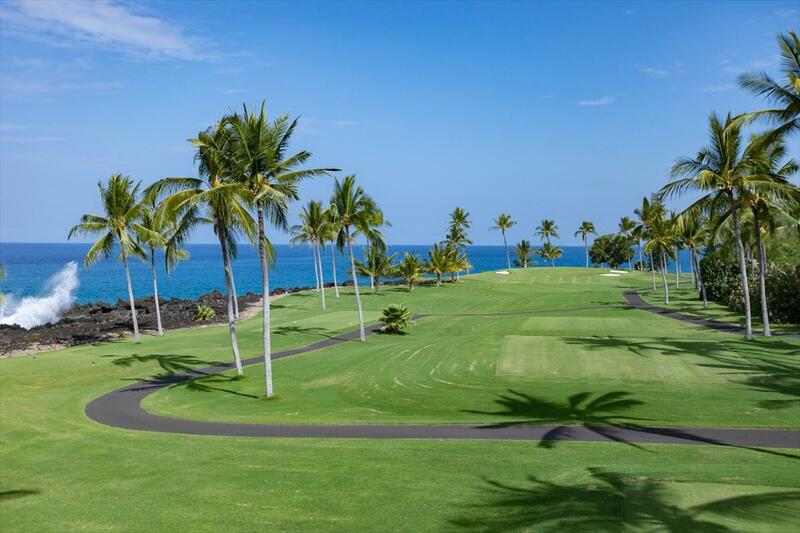 This is a great unit in a prime location both within Kona-Keahou area and in the complex itself.